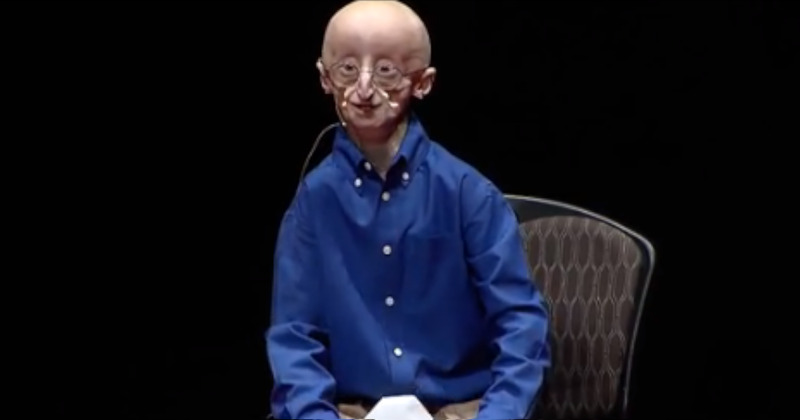 About three months before he passed away, 17-year-old Sam Berns gave this speech explaining his dislike for obstacles and his strategies for beating them. When he was 2 years old, Sam was diagnosed with the rare disease progeria, which causes rapid aging and various other side effects, none of which could prevent Sam from leading a happy life. The original video, made by TEDx, is just one of lots of things Sam did in his many efforts to make the world a better place. You can get to know him better through his HBO documentary as well as help find a cure for this disease by checking out Progeria Research Foundation.